Teacher Notes available for download here. 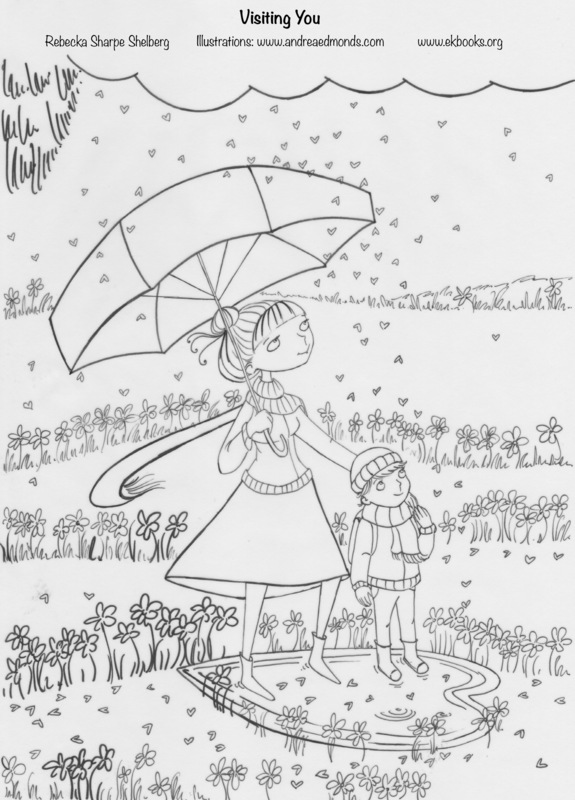 A young child and their mother set out to visit a loved one. Along the way, the child interacts with other commuters — a father who lives apart from his small daughter, a husband who has lost his wife, a granddaughter who is forgotten by her grandfather, and a mother who fears for her son’s recovery — and discovers that we all are bound by the common experience of love, that appearances can be deceiving, and that it’s our similarities, not our differences, that matter most. 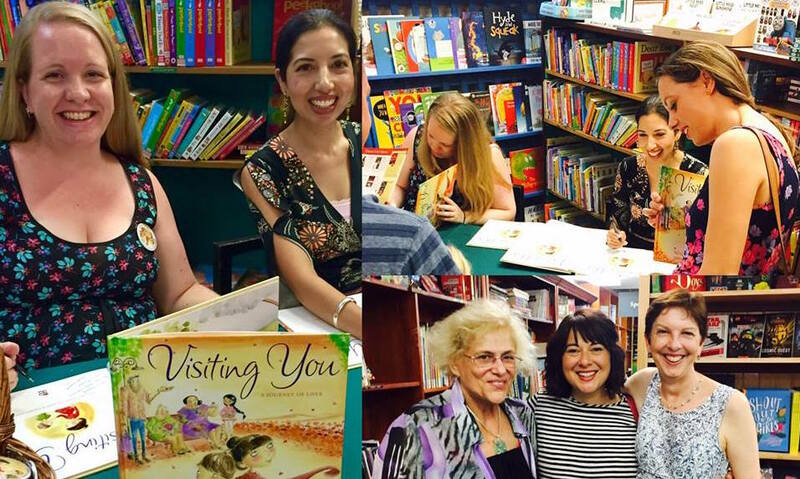 Bec and Andrea at The Children’s Bookshop for the launch of Visiting You! Andrea and Bec at last night’s book signing for Visiting You. 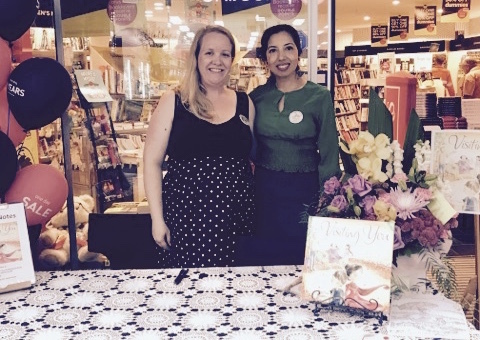 Hosted by the lovely people at Dymocks Rouse Hill! Click here to download printable copies. 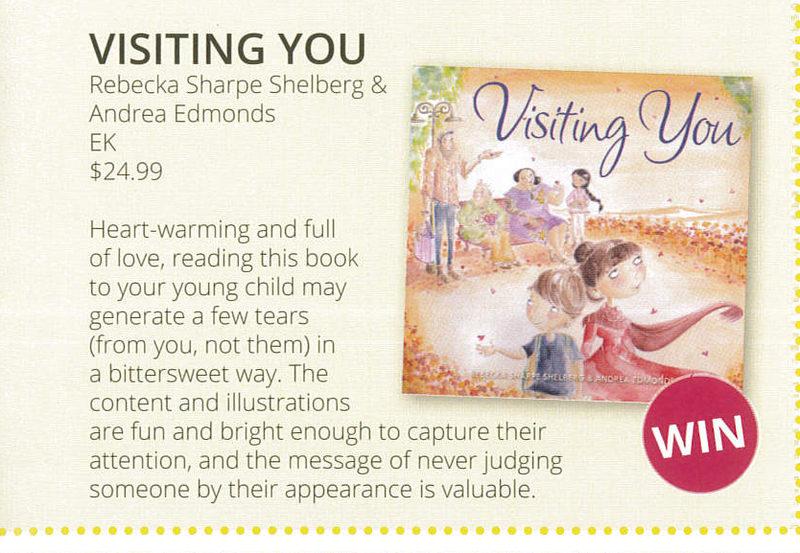 Included in a review of books that help develop empathy in children. “A beautiful exploration of acceptance and the power of love.” – Click here to read in full. “I love the message of … connecting with ourselves through others. Of cultivating empathy; a mindset we should all aspire. Visiting You encapsulates this mindset exceptionally well. Full marks.” – Click here to read in full. “The common theme among all the memories and relationships is the element of love and longing for those we love when we’re apart; and how sharing and basking in memories can make us feel connected with those we long to have near. ” – Click here to read in full. “Looks at differences with compassionate eyes.” – Click here to read in full. 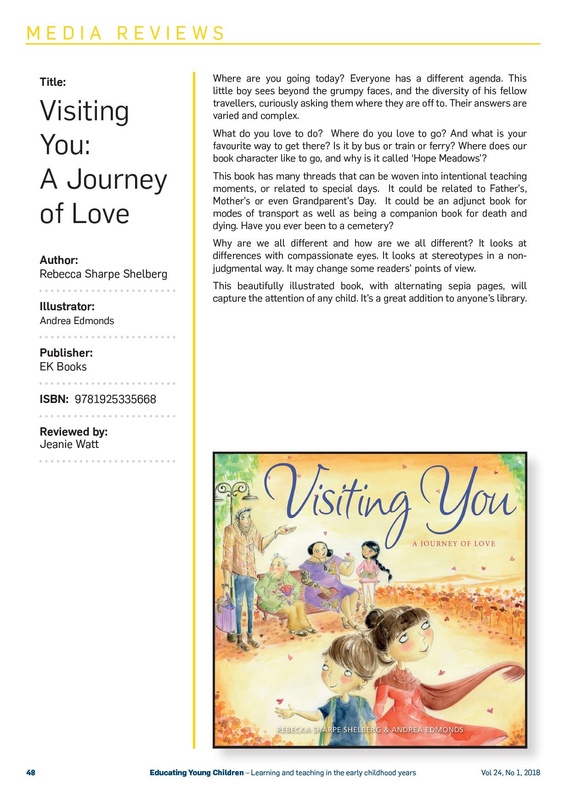 “This is one of those books that would suit any classroom at any time but perhaps would be most beneficial to read during the start of the year and during Harmony Day celebrations. A truly beautiful book that I am proud to own.” – Click here to read the review in full. 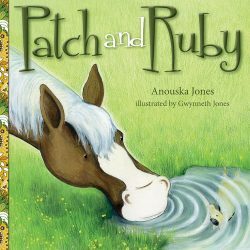 “This focus on our similarities rather than our differences is a familiar theme of many stories for children, but Visiting You stands out as it looks beneath the surface to our emotions and helps us understand that really, all you need is love.” – Click here to read the review in full. “a beautiful story about not judging people on their appearance and the importance of listening.” – Click here to read the review in full. “What makes this special, is that the child, just by talking with strangers, is making a difference. We are reminded that we are all connected. A sweet story with a message we all know but sometimes it doesn’t hurt to be reminded. 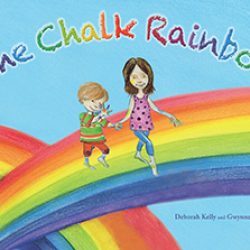 The illustrations have lots of yellows and oranges creating a lovely sunny day feeling.” – Click here to read the review in full. “I’m calling it. This picture book is flawless. 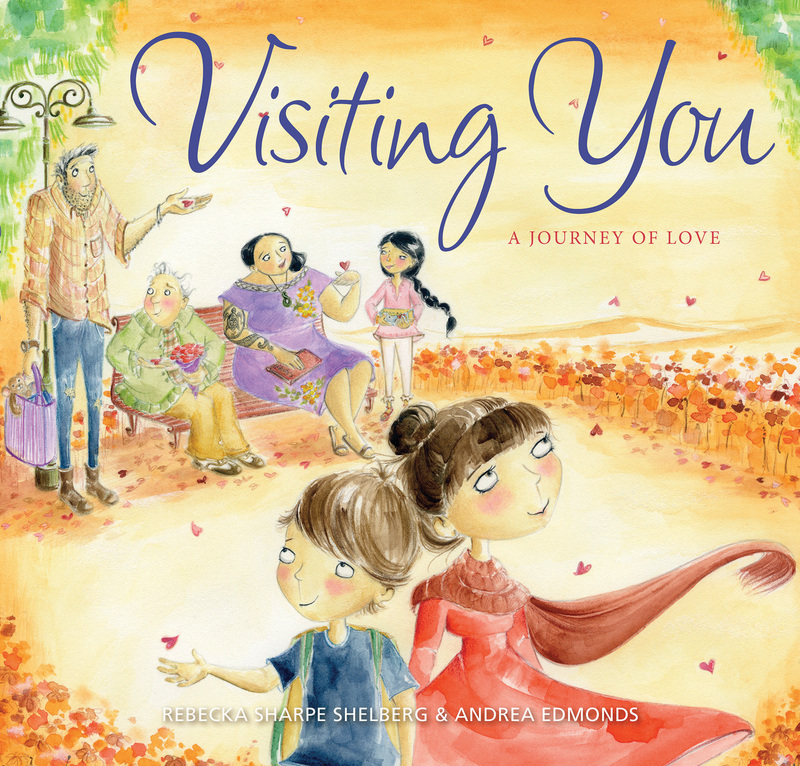 Visiting You is one of those magical picture books that clings to your heart and soul. The story stays with you long after you close the cover, and you’ll find yourself reaching for it again and again.” – Click here to read the review in full. 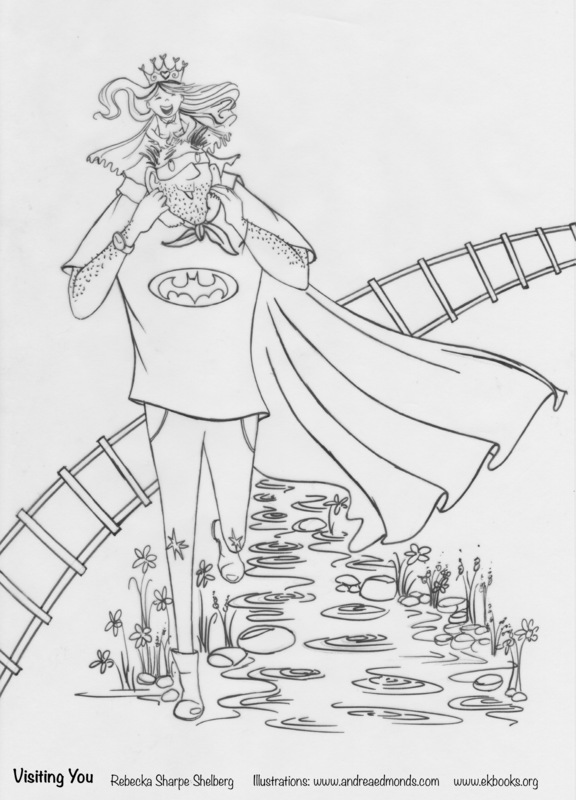 “The book has delicate paint wash illustrations that suit the tone of the story well. There is a gentleness and positivity about the story, and the colours reflect this.” – Click here to read the review in full. 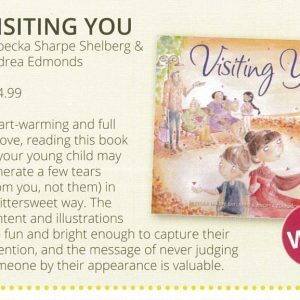 “Visiting You explores a sense of connection, not be scared of strangers or to judge people who may look different … A good book to show children that despite appearances people have similar qualities as their own. 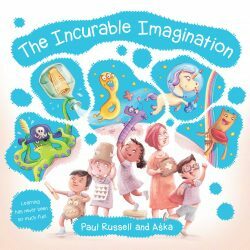 Illustrations are thoughtful and gentle to compliment the story and the message.” – Click here to read the review in full. 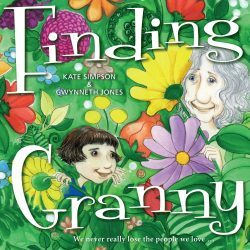 “The gentle balance of colour and emotion reveal memories and the child’s growing understanding that he need not fear strangers who appear gruff and scruffy, different and intimidating. That beneath the obvious differences of a person, there often dwells a story worth sharing and a reason to love. This is a mighty concept to grasp in our modern day world … it promotes a phenomenal sense of humanity, of not judging a book by its cover.” – Click here to read the review in full. 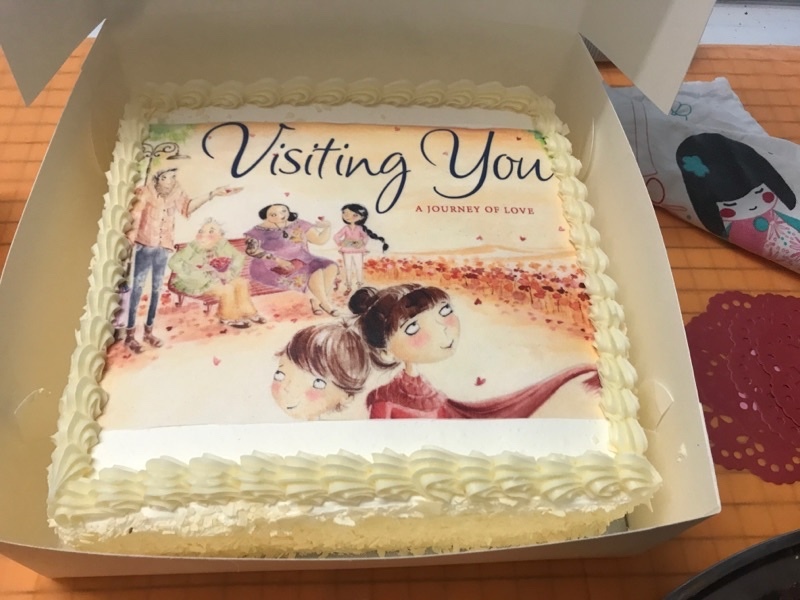 Bec and Andrea (and a delicious cake) at The Children’s Bookshop for the launch of Visiting You!